Come see all the Other Switch Keys for sale here. A version that has nice serif letters and no excessive pocket wear. Great key. A very late version of the Western Pacific switch key but still nice and ready to display. SPCO on the front of this Adlake hallmarked key. This is the Repair Track keying although not marked as such. This fits the CS-47 locks of the earlier era and also some of the steel modern locks marked SPT Co and SPCo. Very nice condition ready for display. CSTPM&O on the front of this later Adlake version switch key. Very nice condition no issues. 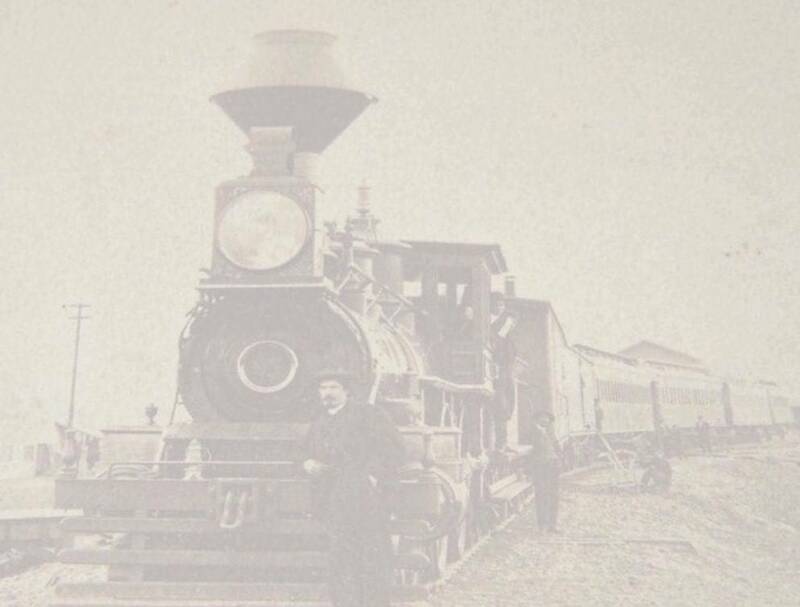 FLORIDA RAILWAY & NAVIGATION CO.
Florida railroading in the 1800's at its finest! Any pre-1900 Florida RR artifact is a thing to behold, rare and seldom for sale. This key is an escapee of that state's RR collecting mafia that keep such treasures underground. This Ritchie & Son hallmarked key is beautifully stamped FR&N Co on the front with the S at the 6 o'clock position. Sometime long ago the rear tang of the keying has departed but still, what an amazing early 1880's vintage key from such a historic area of our great country. Beautiful color and pocket wear on this Fraim example marked SPLA&SLRR on the front. Although not marked as such, this is the WATER SERVICE keying for this road. Really difficult to find any decent keys from this short lived road before the name was shortened to the Los Angeles & Salt Lake RR. Wonderful addition to the western collection. This California line seldom yields any of her hardware for sale so finding one of these is indeed an uncommon occurrence. NWPRR on the front of this Adlake hallmarked and serialized key. Nice deep markings and ready to display. Worn but fully legible are the markings ARR on the front of this Adlake hallmarked key. Nice pocket wear, almost too nice. Still harder to find and ready for the display case. Here's one of the nicest Santa Fe keys to come long in quite a while. Double ring barrel with SUPER nice marking AT&SFRy on the front. Has what appears to be the G division marking on the back along with the S for switch. AT&SF G we believe is the Gulf division. Its the standard switch cut so the only thing that makes sense is that it is a division marking. Either way, this is one of the most eye catching keys you'll find! Don't miss the opportunity. Harder to find A&W oval hallmarked CS-44 Special key. Great pocket wear and a nice color. Super markings. Great all around example of the standard Western Pacific switch key. Slight pit right by the keying only mentioned for completeness. OREGON WASHINGTON RAILROAD & NAVIGATION CO. This is a nicely marked standard pre-1900 switch cut for the OWRR&N. The key casting has some light barrel voids but overall is nicely marked and presents well. Great addition. Very nice eye pleasing example of the standard GTW switch cut. Adlake hallmark on the reverse. Pretty contemporary keying on this one, nice almost unused. This is an earlier key with nice deep markings. Fraim hallmark at the top with the serial number 37 at the bottom. There appears to have been some bit alteration so not sure what keying this is, but the markings are great! FS Hardware hallmarked MO PAC standard switch key. Nice dark patina, great condition. MCRR on the front of this nicely pocket worn key. Appears to be Bohannon and from the shape we're pretty sure that is the hallmark. Great addition to the collection. The BNR keys were produced in the 1970's as the last of the Adlake keys were being produced. Nice serif lettering BNR on the front, but no hallmark on the reverse. This is the BN master cut. Standard Erie switch key with nice wear and patina. Won't be disappointed in this example. Beautiful color and pocket wear on this standard brass switch cut key. Adlake hallmark on the reverse. Great looking! Can't think of a worse place to try and run a railroad. Despite the conditions in the Nevada high desert, this key is a rarity not often seen for sale. T&GRR on the front with serial number and Adlake hallmark on the reverse. Wonderful history behind this lonely western railroad. SPCO CS-24 on the front, R&B with serial number and A&W oval logo on the reverse. Great pocket wear and patina. Someone slightly repurposed the bit to perhaps fit a switch lock as well. Don't know the purpose but only detracts a little from its overall appearance. Santa Fe nicely marked on the front of this A&W oval hallmarked standard switch key. Beautiful patina and pocket wear. Santa Fe deeply struck on the front of this earlier A&W hex hallmarked key. Don't see these hex logo keys too often and this one is a beauty. Here is the later version switch key for the Oregon Short Line. Has the CS-2 designation on the front and then on the reverse, the oval logo, serial, and switch designation, Great key with less than average wear, very nice eye catching marks. OSL on the front of this earlier version switch key. A&W oval logo with serial number and S for switch. Surprisingly little wear and in excellent condition. Sure to please. NCORy on the front of this Fraim hallmarked key. Anything marked NCO is really hard to find and a key this nice is really a treasure. Serial number 135, a low issue number but the road didn't have that many of these so better get while the gettin is good! Large deep block lettering on this key. N.P.R.R. on the front and S on the reverse. Probably made by Slaymaker although not hallmarked. Beautiful and ready for display. Hard to find this earlier version IHB key. Has the serial number on the front and although worn in the center, the instructions on the back for returning the key for $2.00 reward. Nice smooth pocket worn example. D&RGRR on the front and WS on the back of this key probably made by Fraim but not hallmarked. Beautiful fully defined lettering with a smooth medium patina. Ready to display and harder to find Water Service cut. Tapered barrel early switch key from the Canadian Pacific. Marked CPR on the front with the letter S. Beautiful patina and pocket wear. One of the nicest western keys for sale on the market today. This choke barrel ringed key probably made by Bohannon is stamped CPRR of CAL on the front with no manufacture shown on the rear. All nice lettering, there was a customized notch by the switchman gently filed into the side of the key. Generally done so they could tell which key they were after in the dark or in their pocket. What a beautiful and rare example of the premier western railroad of its time. Don't miss this opportunity. Beautiful early construction era key from the Central Pacific, marked CPRR across the bottom with the S at the top, a unique departure for key marking placements! No manufacture mark on this but outstanding none the less. You'll go a while before finding a better example in this style. Seldom seen for sale, this Sacramento shops made key for the Central Pacific Railroad is also not the standard switch cut, but the 300 cut as marked on the reverse. Nice wedge hilt key marked C.P. on the front, no excessive wear. This one is much harder to find than the switch cut in this style. Super nice example of the standard Loffelholtz hallmarked Milwaukee Road switch key. There are many of these to choose from, none finer than this one though. Nice early steel key marked B&MR RR NEB on the front with the A&W oval logo on the reverse along with serial number and S for switch. This is the later switch cut that matches the CB&Q switch. An excellent example and harder to find. Here's a really interesting early variation of the Santa Fe standard switch key. Very nice stylized serif letters with the half size y. The key itself is great until you get down to the end of the barrel where there is some minor damage from wear through. Other than that, the markings are beautiful and can't beat the price on this early version. Brass double ringed tapered barrel key made by Miller but not hallmarked as such. RGWRy in nice lettering on the front with the serial number on the back. These keys are about as hard to come by as the locks! Only the second one we've handled in many years. The key surface appears a little bit rough but overall is in really nice condition with no excessive wear at the end of the barrel. Don't miss the opportunity to add this key piece to your western key collection. Early brass tapered barrel double ringed switch key. Beautiful lettering PFW&CRR on the front, S on the reverse. One tang on the keying has been broken off long ago, but still very presentable and hard to come by. Early Bohannon serif lettering NOT&LRR on the front of this standard switch key. Manufactured by Bohannon and stamped on the reverse along with S. Beautiful example, hard to find. PENNA CO on the front of this brass switch style key. Serial number on the reverse. very nice patina and pocket wear. Late 1980's-90's Keline key from the Montana Rail Link. Serialized 1440 on the reverse. This is the newest of the old-school keys before the S&G cotter keys. DSS&ARY in serifs on this nice FS Hardware hallmarked example. No issues, great key. Nice small tapered barrel switch key from the CI&S. Serif letters and serial number on the reverse. Super nice marking. Those crazy Canadians! Hey Tony, I heard if you put a hole in your key them frozen up locks will work better eh. Shamus, that's aboot the best idea you've had in your life eh. So in some frozen garage the two hatched a plan to transform an otherwise nice Canadian Pacific switch key into a Canadian oiler key. The only thing we can say is they must not have been drinking beer at the time because at least it was a fairly nice job they did. S on the reverse to remind them it was for a switch lock after they left the pub. A&W oval logo on this early C&WI key. Very nicely marked and a real eye-catcher. Super deep markings CM&StPRR on the front with the Baggage Car Cellar designation and Loffelholtz hallmark on the reverse. Hard to find this boldly marked. Great key. Adlake curved hallmark on the reverse with serial number. Great markings. Excellent example. Although not hallmarked this Slaymaker creation is nicely marked UP&MP&C on the front. Smooth, nice patina, no problems. WRR in serif letters on this long-ago polished switch key. Slaymaker oval hallmark in the reverse. Nice example. DM&IR marked on the front of this Adlake switch key. Very nice and nearly unused. Beautiful tapered ringed and machined barrel key made by JHW Climax & Co. Superior markings on the front and back with perfect wear and patina. Hard to find these this nice and great to have the division markings. ICRR and S on the front of this tapered barrel switch key. Letters are all worn but legible. The reverse is stamped with A and 99 at the bottom. Very hard to find ICRR tapered keys for some reason. Nice example. Not sure about this one's origins just yet, there are a number of possibilities that we're narrowing down. But a very nice turn of the century Handlan Buck tapered barrel key with excellent markings and no issues. This company was tentatively identified to us as the East Erie Commercial Railroad so use the info as advisory. Tapered barrel brass Loffelholtz hallmarked key with great markings. Usually these show up all worn out, this one is a cut above average. BURLINGTON ROUTE all around in big letters on this tapered barrel early pre-1900 key. These tapered barrel versions are getting really hard to find, and especially this nice. Don't miss this opportunity at a beauty. Super deep serif lettering STP&DRR on the front of this beautiful key. Single machined ring on the barrel but no makers mark. The cut is the standard Switch cut for StP&D. It shows very little use but has a unique casting mismatch on the barrel in line with the hilt. See pics. The key was machined to work despite the imperfect alignment which makes for a ridge on either side of the barrel. Not cracked or broken through, just misaligned in the casting process. Spectacular marking and in the display condition the mold lines are not a factor. OR&NCO pressed amazingly deep into this tapered barrel Union Brass switch key. Marked S at the bottom for Switch, this key is nothing short of amazingly marked. Beautiful dark brown patina overall. Slight barrel dent but does not affect the keying or the fit into any OR&N lock. Just a phenomenal key. Hard key to find, the Dining Car Cellar key, super nice markings, deep and bold. CM&StPRR on front and DCC with Loffelholtz logo on the reverse. Excellent in every way. One of the nicer marked Omaha key varieties out there. This very nicely serif stamped key is also marked ED on the front with the Bohannon hallmark on the reverse. Letters are worn but fully legible. Hard key to find. Nice later version Norfolk & Western switch key. Hallmarked with standard Adlake serial number on reverse. BA&P stamped on the front of this Adlake key. This is the last version of key that BA&P used before becoming the Rarus Railway. Pebbled surface and the last keying used into the early 1980's. Burlington Route spelled out on this nice Adlake hallmarked key. Just a beautiful example ready to display with no issues of excessive wear. Worn smooth but still nice and harder to find. This A&W key has the serial number and hallmark nearly worn off the back but the marking on the front is nice and fully legible. Harder to find key. Just a really nicely marked standard Santa Fe switch key with the earlier A&W oval hallmark on the reverse. Great key. Hard to find Indiana short line key. Nicely marked CIRY on the front and hardly used but has some nice pocket wear and patina. Ready to enjoy. Early single ringed Bohannon switch key nicely marked NYP&ORR on the front and evidence of the Bohannon hallmark on the back along with S for switch. A little extra end wear shows in the photos as an angled end to the barrel. Nice patina and harder to find. Great match if you have the fancy back lock to go with. Nice later and pocket worn standard switch key from the Northern Pacific. Appears to have a shop stamped number on the back which is uncommon for the road. Adlake hallmark is present. Nice key with good markings. Beautiful earlier PCC&StL key with the Pan Handle marking. No mfgr shown but nice early serif lettering and great pocket wear. Nice earlier key from the OWRR&N. A little harder to find with the "NAV" marking. This one has nice pocket wear from long service on the road. LVRR stamped in serif letters on the front of this Slaymaker brass switch key. Nicely marked and no excessive wear. Great example. Very early brass tapered barrel ringed switch key, possibly from T. Slaight although not hallmarked. The key is instead double marked with railroad initials on both sides. A seriously nice key and very early. Beautifully marked in serif lettering C&EIRR S on the front. Serial number but no manufacturer hallmark but a beautiful early switch key. Has an unexplained hole drilled at the 6 o'clock position but has no affect on fit or function in a lock. Nice serif lettering on this earlier Slaymaker standard switch key. AT&SFRY S deeply stamped in front with serial number on the back. No makers hallmark but unmistakably Slaymaker. TTRR on this later Adlake key. Nice key showing little use. BUFFALO & LAKE ERIE TRACTION CO. The B&LETCo got its start in 1906 through the consolidation of several area lines. It lasted until around mid-1924 when it was reorganized as the Buffalo & Erie Railway and finally ceased all operations in height of the depression in 1932. This hard to find key is in excellent condition with good marking and A&W oval hallmark on the reverse.